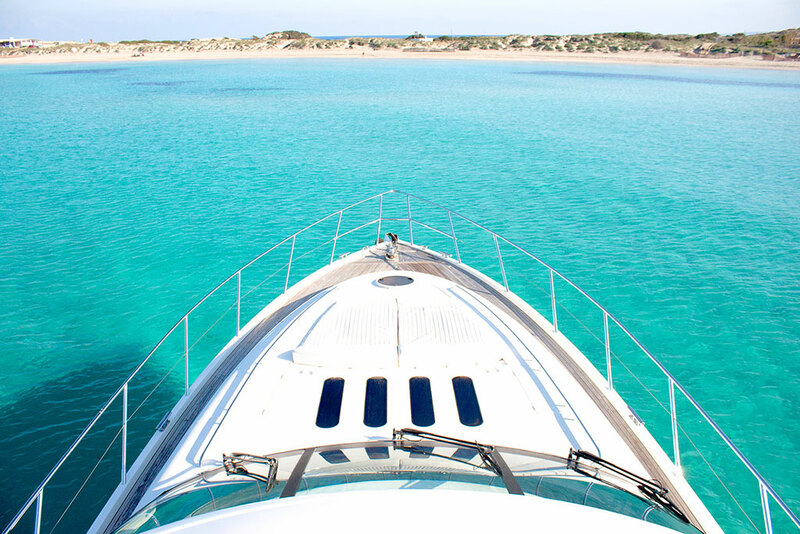 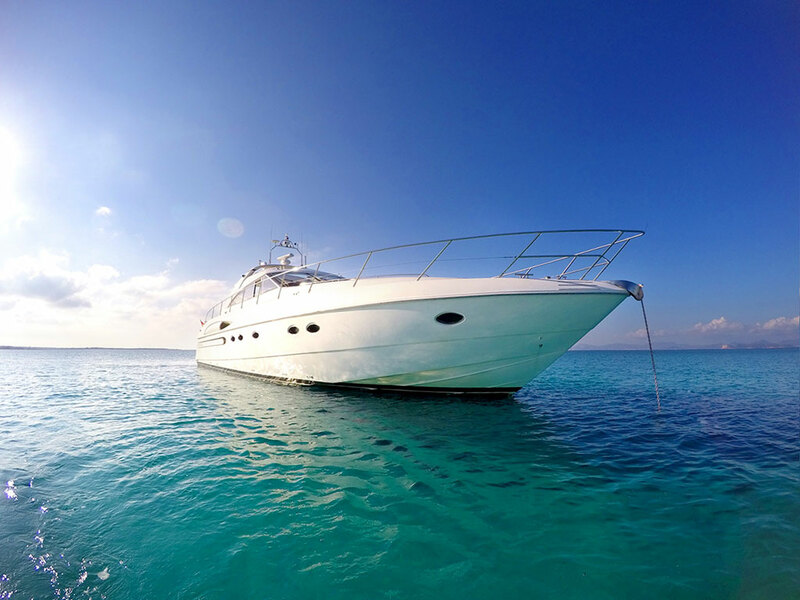 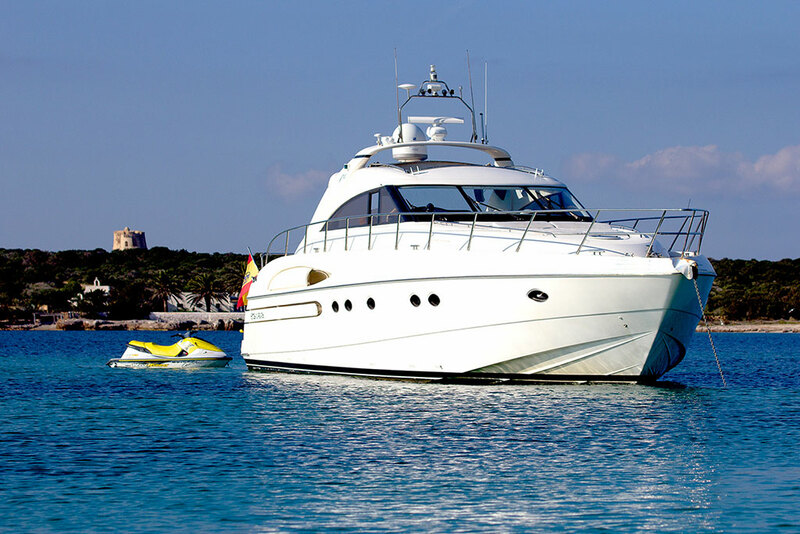 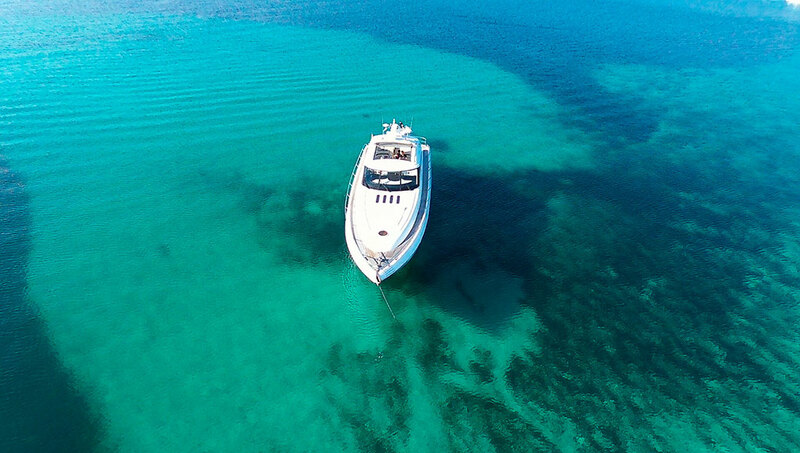 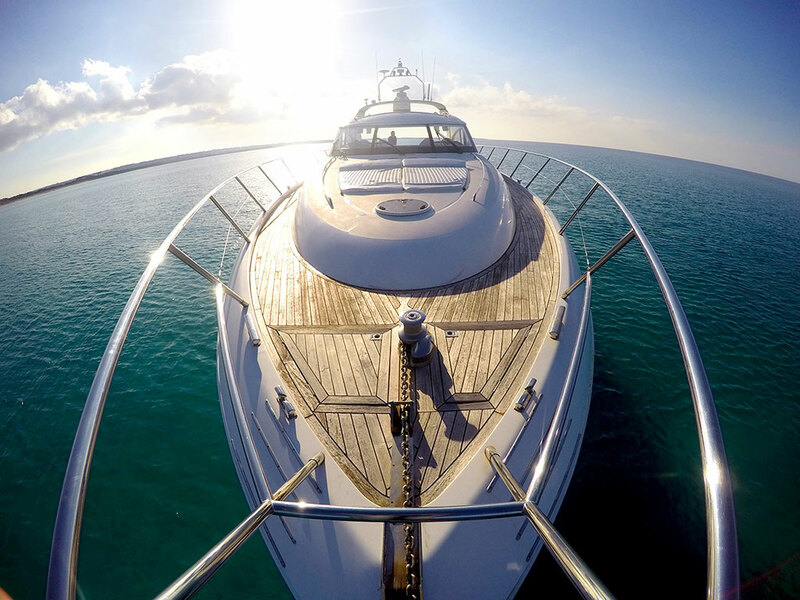 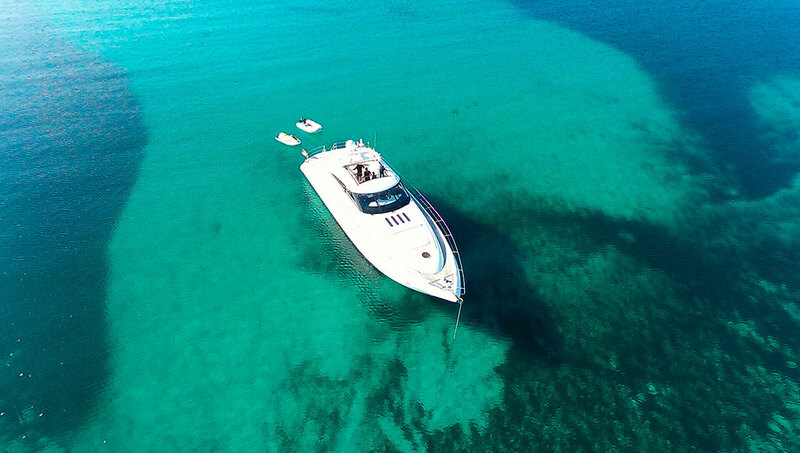 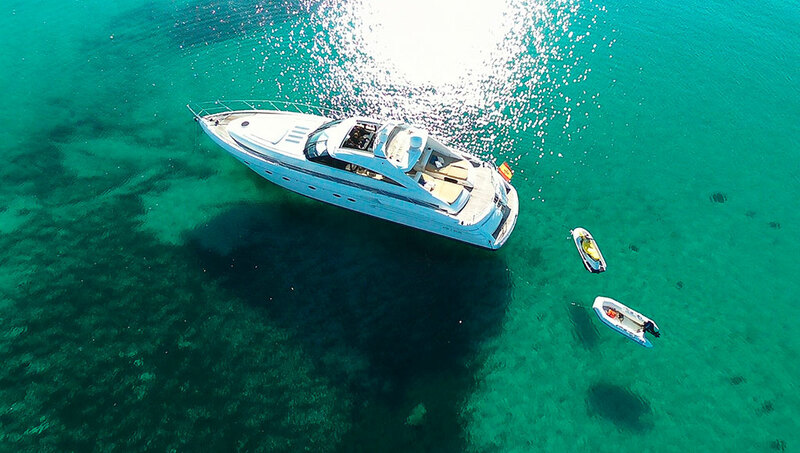 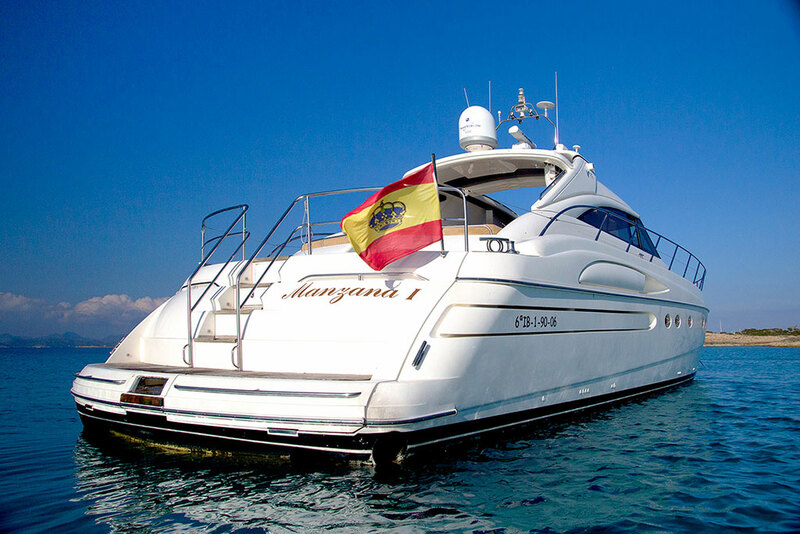 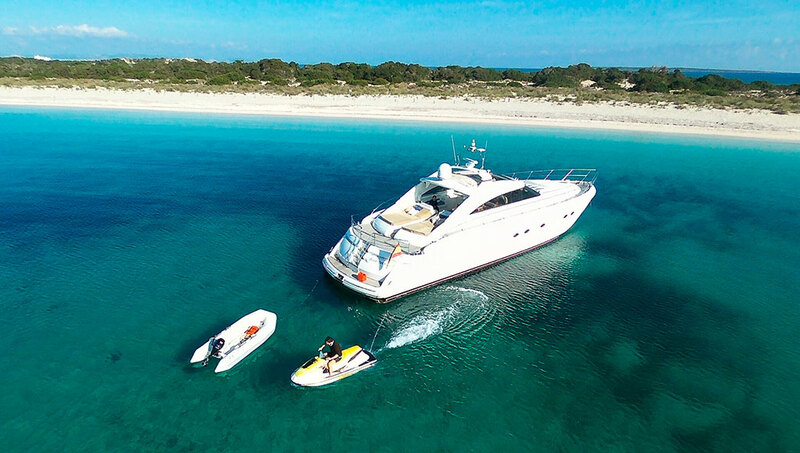 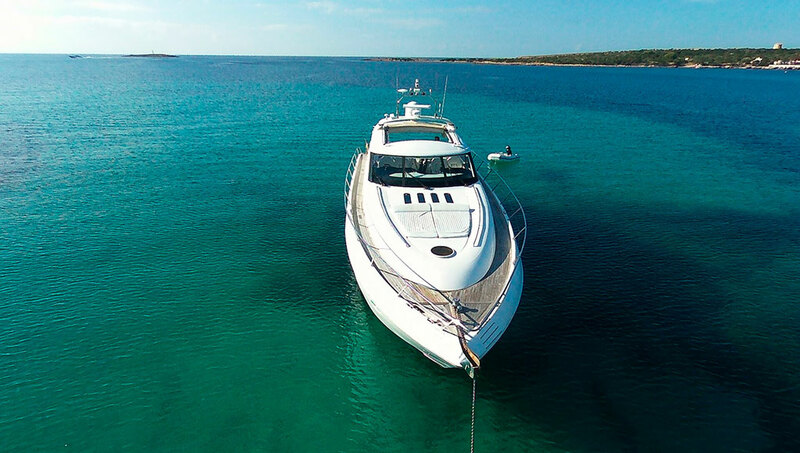 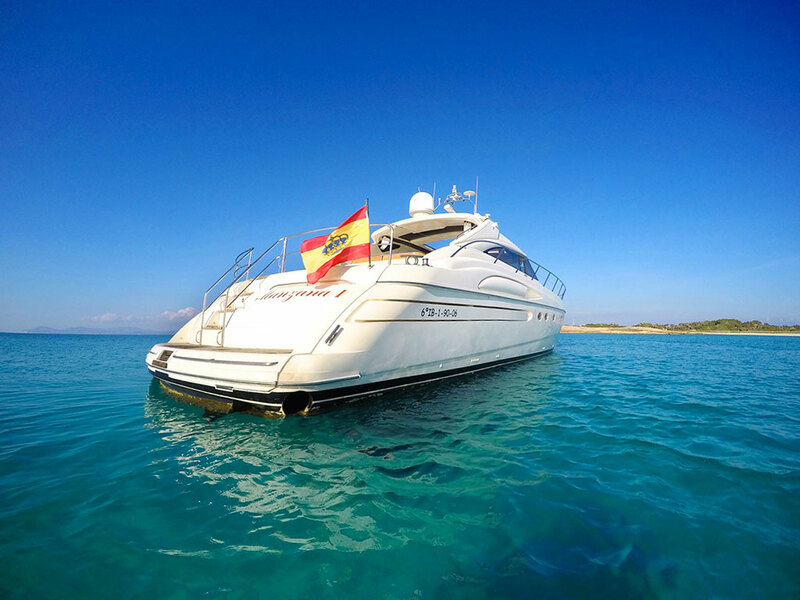 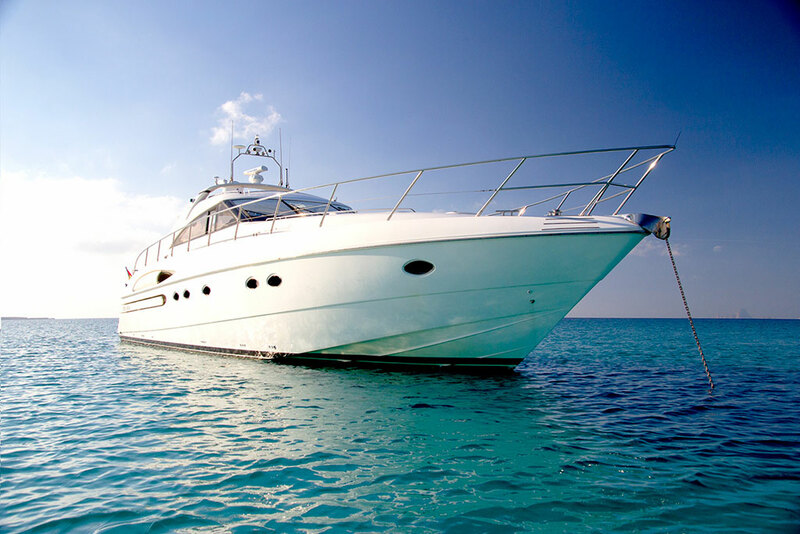 Experience the unique world of the southern Balearic Islands on one of our charter yachts on Ibiza. 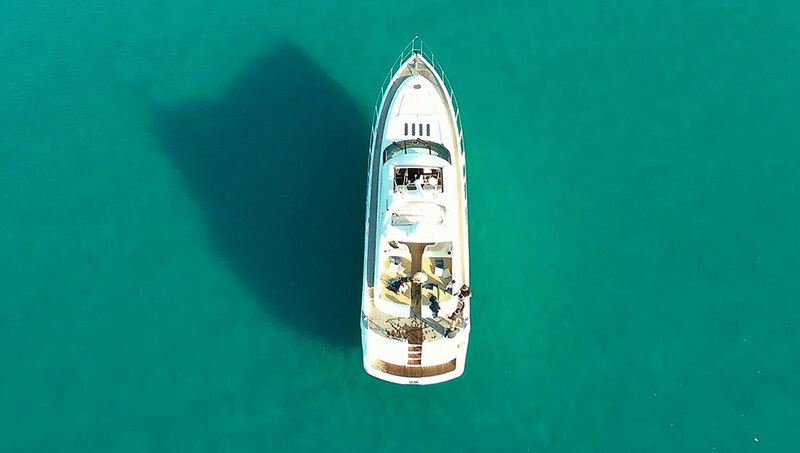 All ships are regularly serviced and maintained by qualified personnel so that you can enjoy your trip in its perfection, without fear of evil surprises. 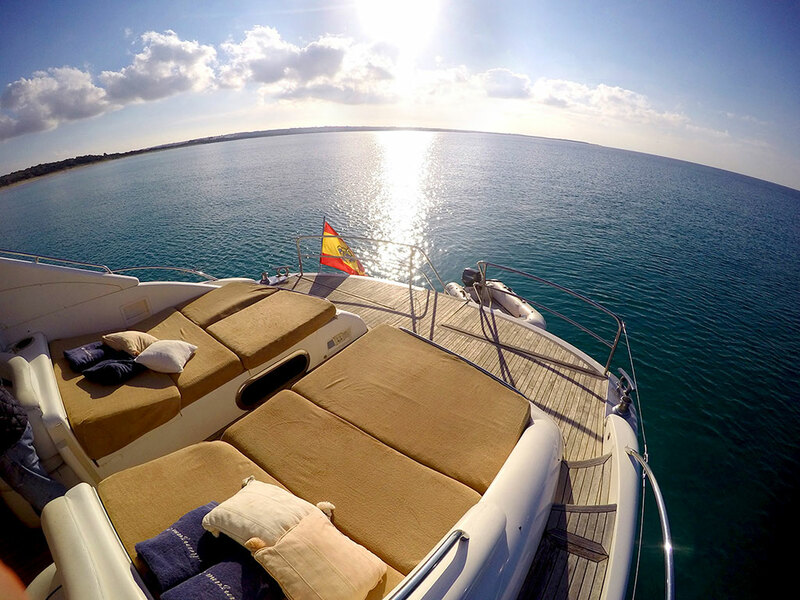 We will give you an experienced skipper, who will take you safely to the most beautiful destinations around Ibiza and Formentera. 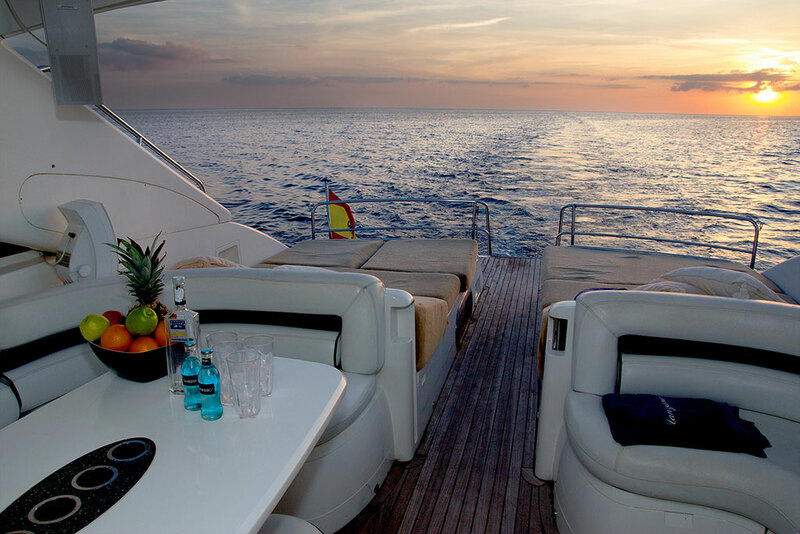 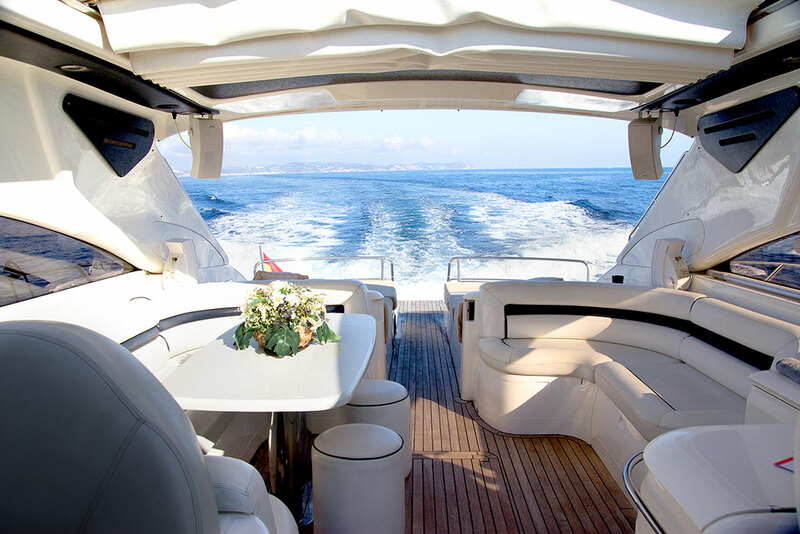 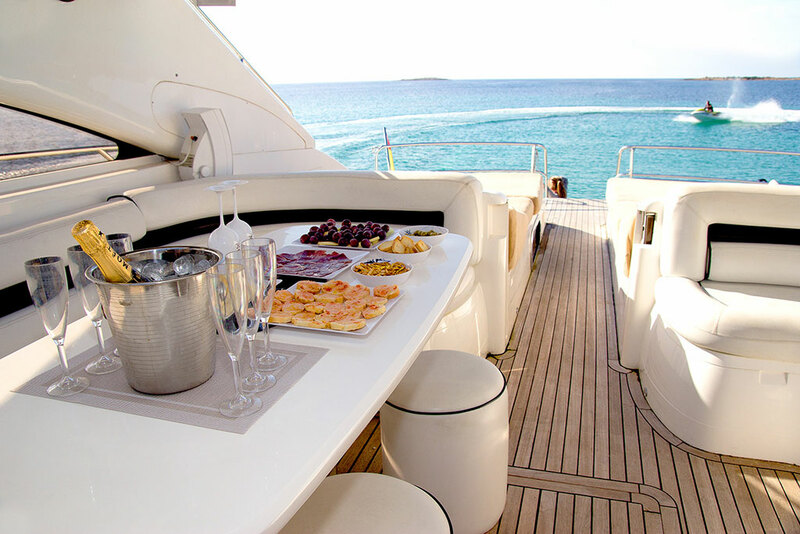 Ask your charter yacht Ibiza now and secure unforgettable Mediterranean moments. 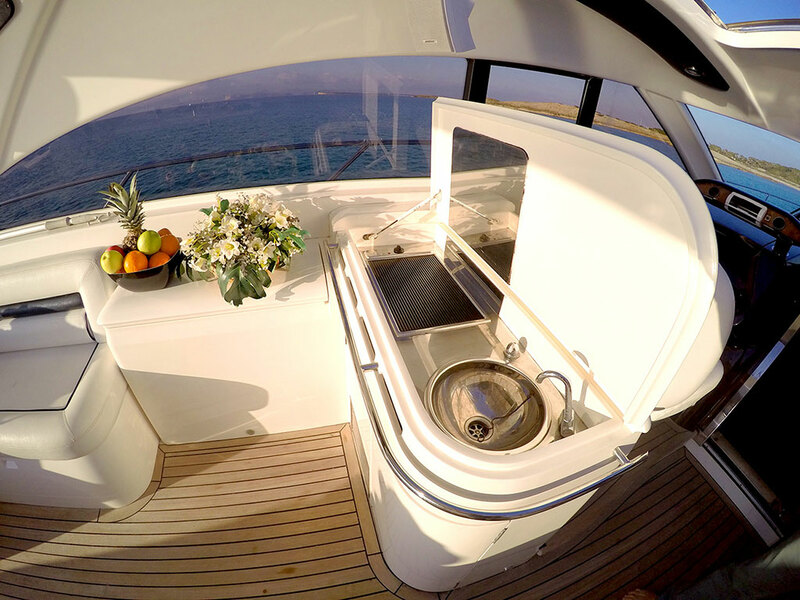 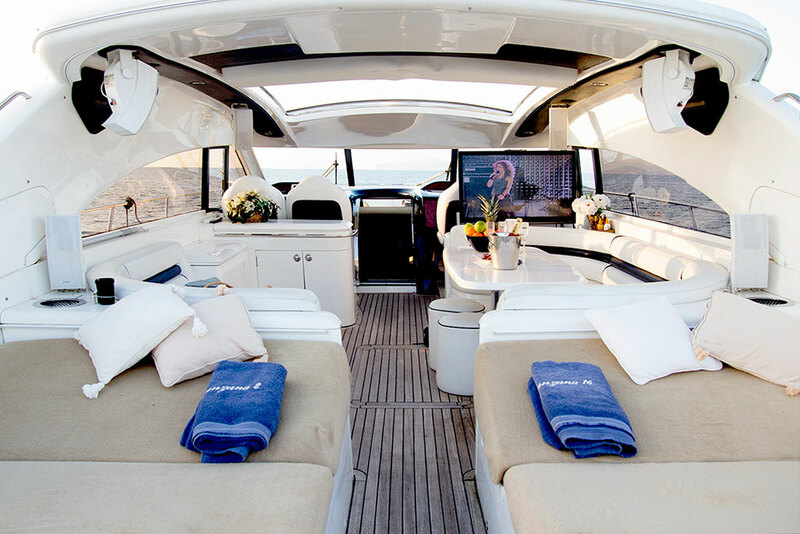 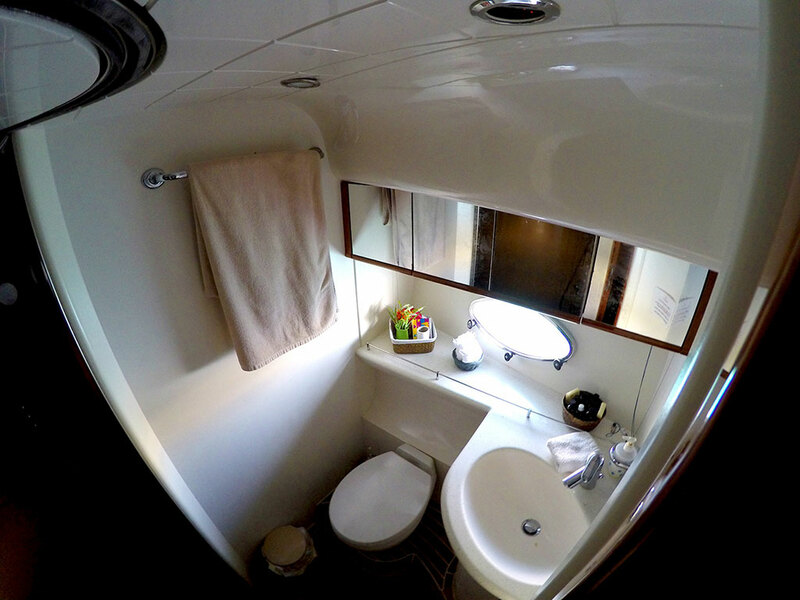 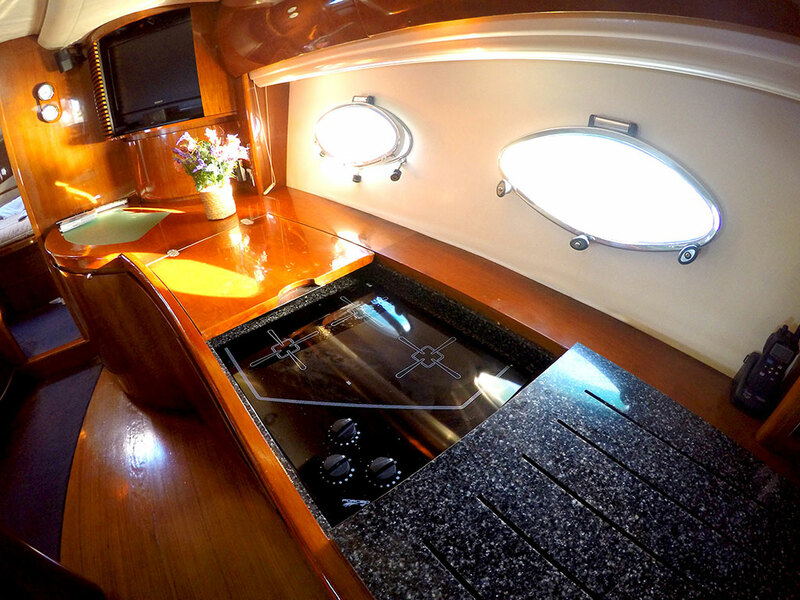 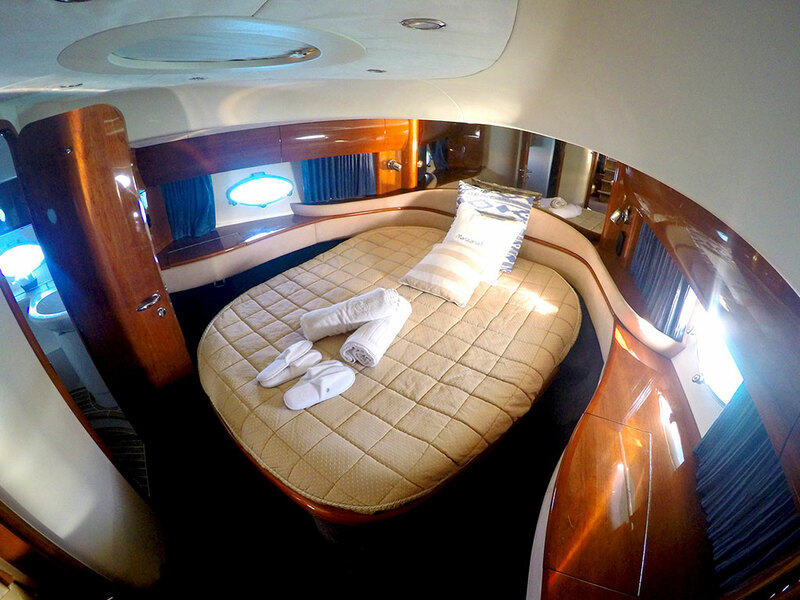 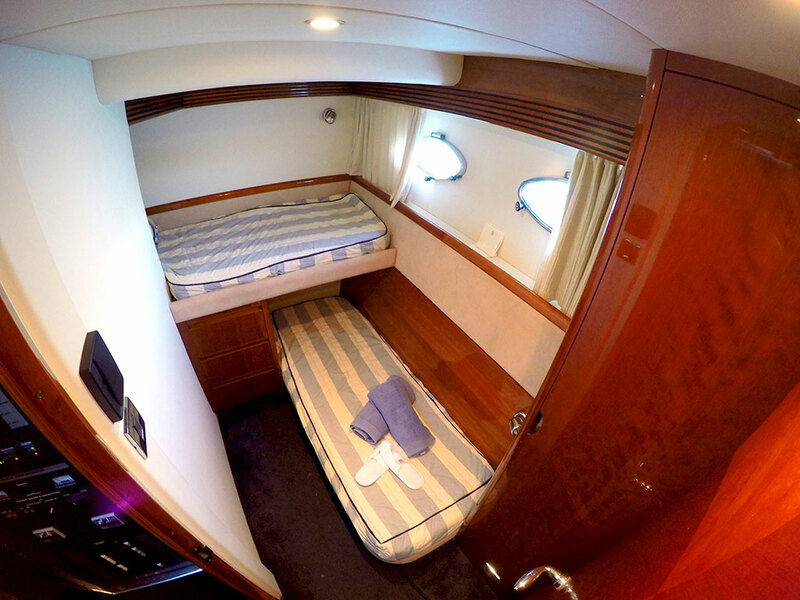 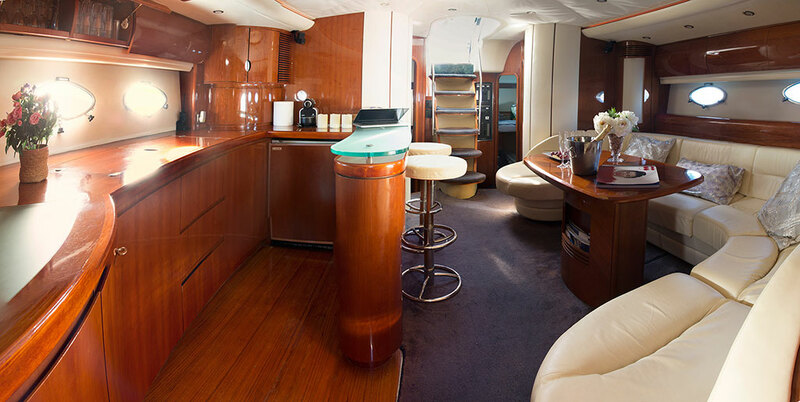 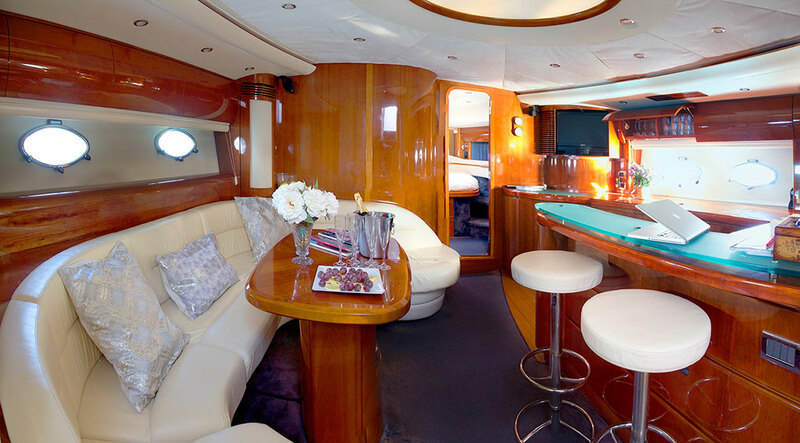 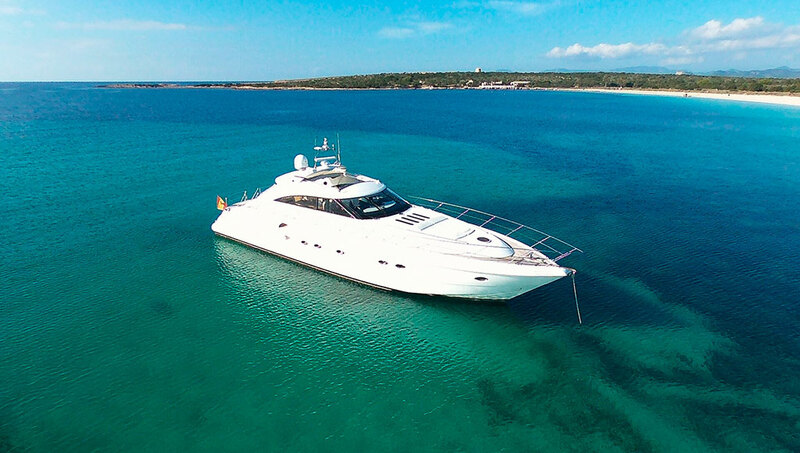 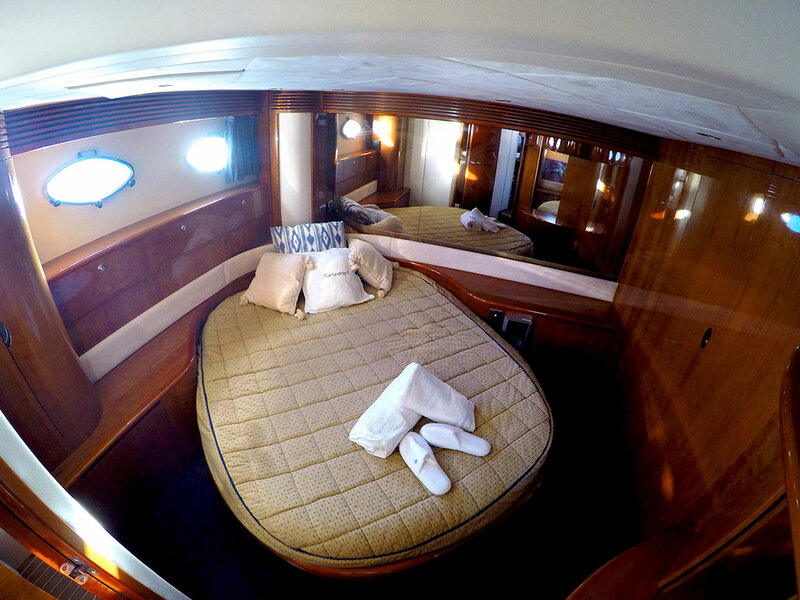 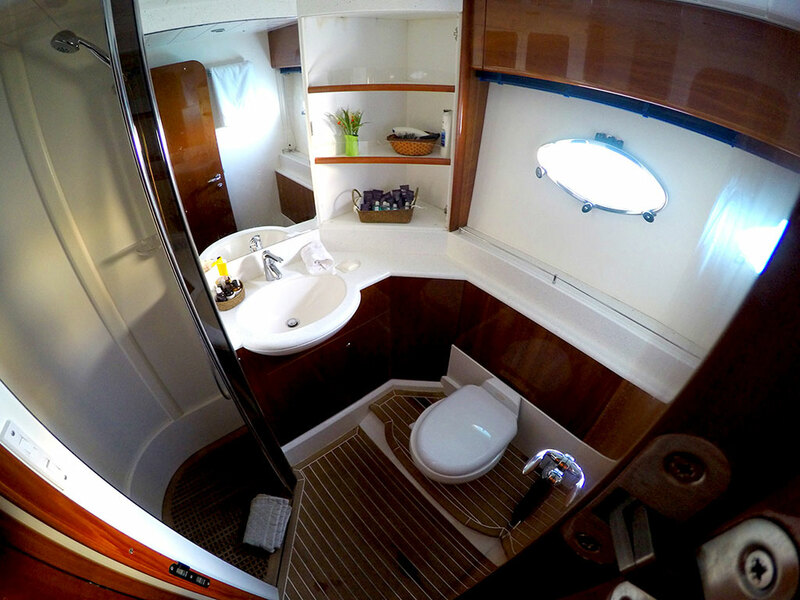 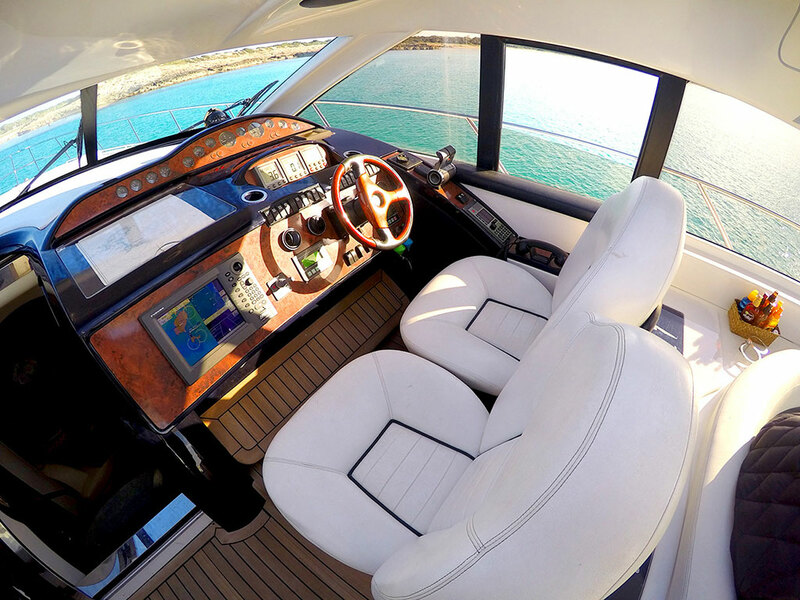 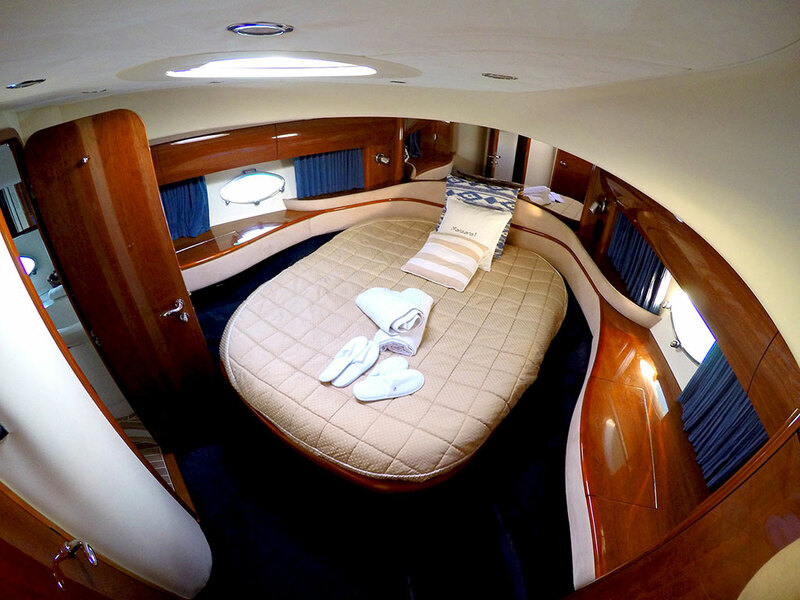 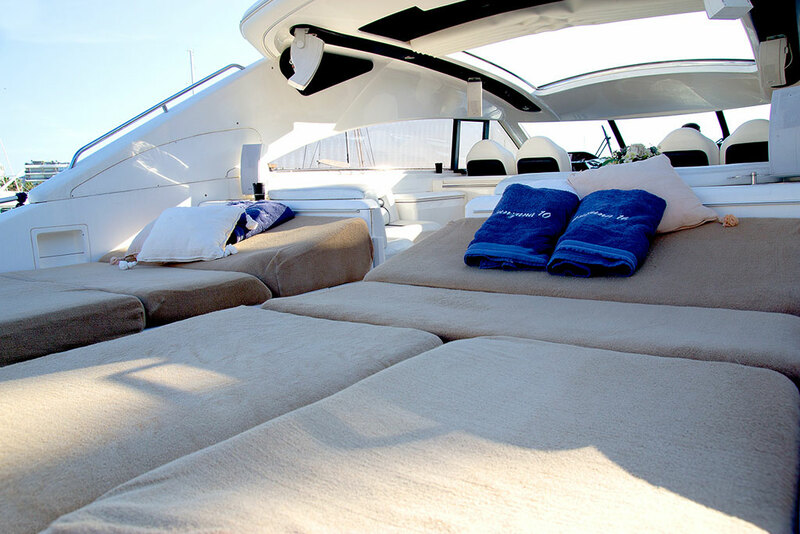 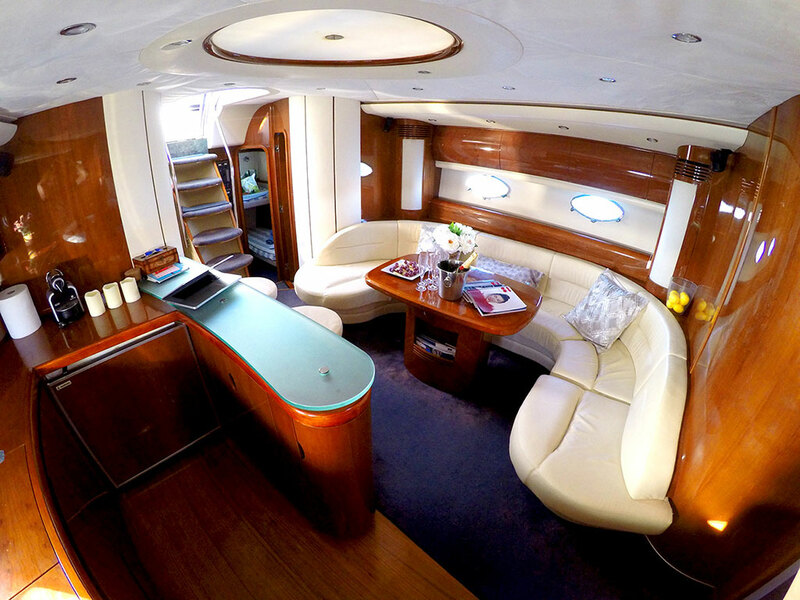 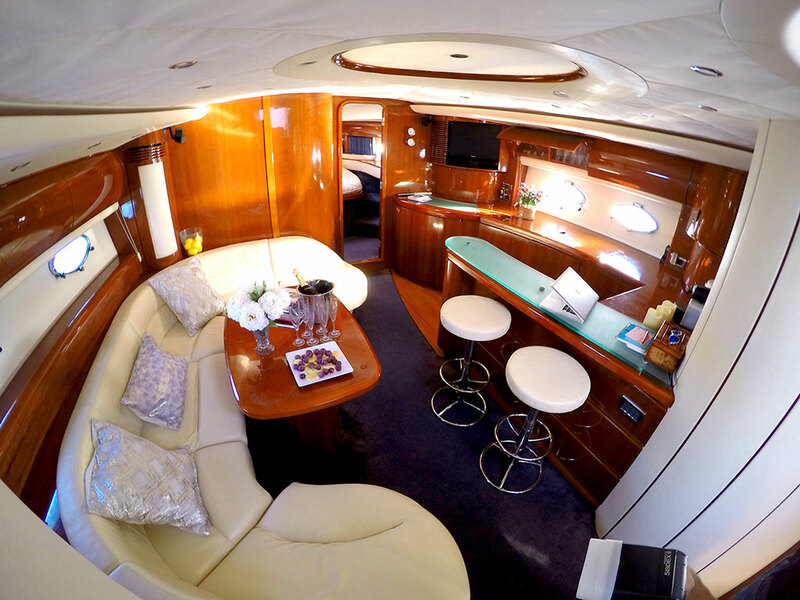 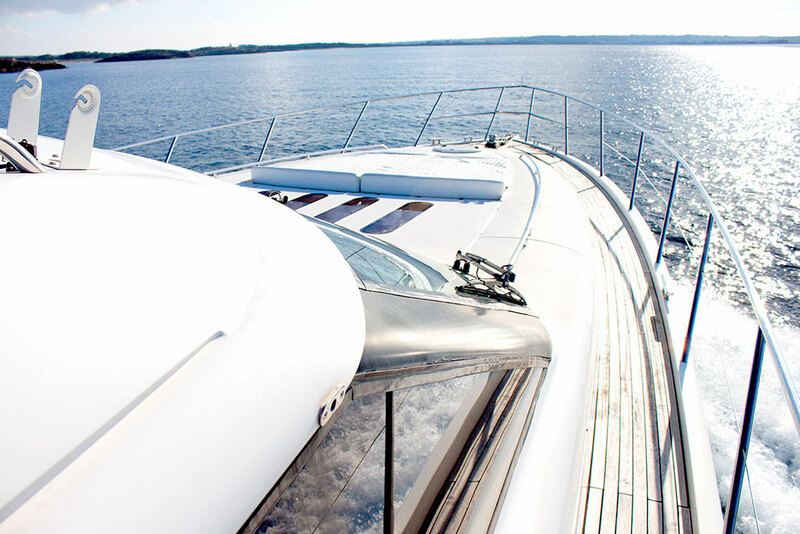 The Princess 65 has a fully automatic hard-top in the cockpit and lounge, teak throughout the cockpit, aft deck and deck – Mats leather exterior with terry cloth – indoor and outdoor refrigerator, ice maker, freezer, stove, grill, microwave, washer dryer , Dishwasher – stereo, CD, TV and DVD, flat screen TV in all cabins – electric generator – air conditioning – dinghy – mat – water organisms solarium – snorkel equipment – towels.